Our guide to climbing the ladder using Freeze Mage in Rise of Shadows. Our Freeze Mage deck list guide features the best deck list for Season 61 of Rise of Shadows (April 2019). 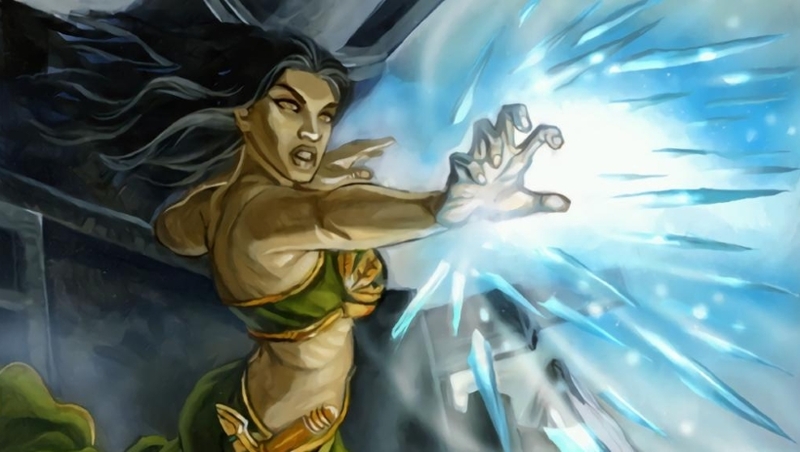 Our Freeze Mage guide also contains Mulligan advice, card combos and strategy tips. Freeze Mage is one of those Hearthstone decks that's been popular in one form or another since the very earliest days of the game's beta period. 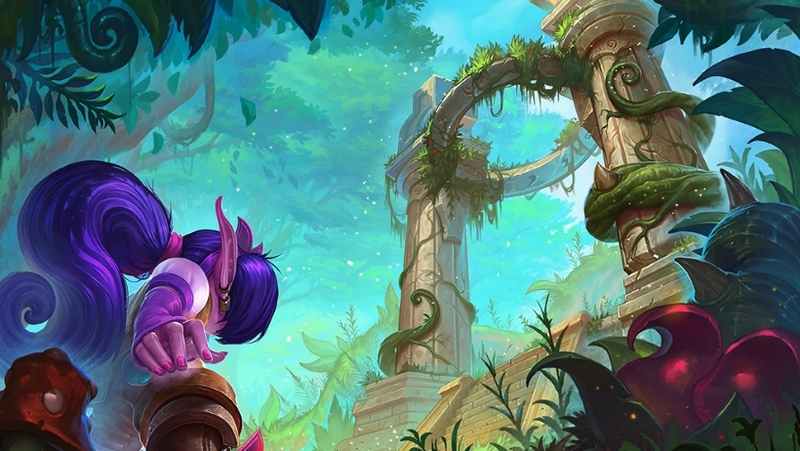 Despite elements of the deck being nerfed around launch (not to mention ahead of Un'Goro), nothing seems capable of dampening the enthusiasm for this playstyle - or its effectiveness as a means of climbing the ladder. If the deck's changed a lot since its original incarnation, one thing that hasn't changed is its fiddly nature. Those who are new to Hearthstone, or just don't have a lot of experience with the archetype, will find it very hard to acclimatise to the levels of patience required to pilot this deck effectively. You need a little bit of nerve to ride things into the long game as well, where your strengths lie in abundance. This is where our Freeze Mage guide comes in. First of all we've highlighted what we believe is the best Freeze Mage deck list you can utilise right now. After that you'll find advice on Mulliganing your opening hand, before we look at the strategy involved in playing the deck. Finally, we've stripped down all of the combos in this particular version of Freeze Mage, which should help you understand why it's such an evergreen powerhouse on the competitive ladder. It will take us a while to get Metabomb fully updated with the new Boomsday set, but we wanted to bring you a new version of Freeze Mage so you can start playing it right away. It was created by Orange. Once things have settled down a little we’ll be overhauling all of our deck guides, including this one. For now, the content below this point refers to an old version of the deck, but the general advice may still be useful. Here's the version of Freeze Mage that was created by player Meati for the Frozen Throne launch. It's been played at Legend level, but this archetype is not seeing a lot of play in general right now, so please exercise extreme caution when it comes to crafting any of the cards you don't already own. Coldlight Oracles are falling out of favor due to the fact that they hasten your opponent's ability to rush you down as often as not. The deck runs enough random-generation cards to complete the quest consistently and the one-off volcanic potion helps a lot against aggressive starts. As a Freeze Mage your game plan revolves around stalling your opponent's board development with big board clears, while at the same time using your card-drawing skills and minions to fatten up your hand with your core win-conditions. Combos like Frost Nova/Blizzard and Doomsayer allow you to - typically - wipe whatever's out on the board, and frustrate the opponent's progress. If the game gets away from you, you have a pair of Ice Blocks to keep you in the game while you draw the final pieces together. As for the win-conditions we've mentioned, your goal has been simplified somewhat in recent months. This current version is built around the Mage's Un'Goro quest called Open the Waygate. If you cast off six spells that didn't originate in your deck, you'll gain Time Warp, which allows you to take your turn again. Combine this with Archmage Antonidas and you'll see how it's possible to generate a huge amount of firepower here. The route you choose towards victory will depend a huge amount on the cards you happen to draw, the opponent you happen to face, and the state of your Mana curve. This is not an easy deck to play at all, and learning how to navigate safely towards your win-condition is something that only experience can really teach you. - Simulacrum adds an extra copy of the lowest cost minion card that is currently in your hand. - Ghastly Conjurer provides you with a Mirror Image which can be used to add a little extra defensive presence on the board. Druid: This hero amounts to one of your best and one of your worst matchups, in Jade and Aggro/Token respectively. Against a Jade Druid, you should Mulligan for card draw and the means to complete your quest fast. Your opponent will need quite a lot of time to ramp up and make his jades big enough to pressure you, so you do not need to be quick with your board-clears. A well-timed Doomsayer can often give you a couple of turns to breathe and prevent the board from overwhelming you, even without a Frost Nova or Blizzard. On the other hand, Aggro/Token Druid is much faster and will quickly overpower you, should you choose to keep the Quest in your opening hand. The Quest is not your win condition here, so mulligan aggressively for Volcanic Potion and Doomsayer. Do not be afraid to play the latter on Turn 1 with The Coin if your opponent plays something on Turn 1 or uses Innervate to get something bigger out. Hunter: The main deck you should expect here is Midrange. Although some lists are running Deathstalker Rexxar, it should not be that difficult to stall the game out. An early Doomsayer can really give you a breather, allowing you a couple of turns to draw into answers. The addition of two copies of Ice Barrier really helps in this match-up, as hunters are almost certain to activate both of them at one point. Mage: This matchup depends on whether your opponent is running a Quest list or not. If you see that he clearly has not hovered over his left-most card (from your perspective), then Mulligan for card draw as much as possible. If that is not the case, then it could be a Secret list, so be careful of Counterspell and Mana Bind, as they can lose you the game on the spot. If you can bait your opponent into triggering Ice Barrier, you should strongly consider that, as it may buy you the time you need to outlast your opponent. Paladin: In this case, your opponent is most likely playing Murloc Paladin. There are quite a lot of different versions of Midrange Murloc decks for Paladin, but they all have a common characteristic: super-aggressive starts. Mulligan for Doomsayer and Primordial Glyph and do not be afraid to coin out the former, if you don’t think you will be able to handle his turn-one Murloc Tidecaller the next turn. Priest: The two most popular lists here are Razakus and Big Priest. Razakus is slow enough to make it a favorable matchup for you, so do not be afraid to be greedy with the board, if you see they cannot answer a Frost Nova - Doomsayer combo. You should, however, be mindful of your timing with Acolytes of Pain, as they can keep healing it and make you overdraw, burning key components of your combo. Another thing you should keep in mind is that you can make them overdraw yourself, if they play an Acolyte of Pain with a full, or close to full hand! Rogue: Miracle Rogue is the timeless Rogue deck. This is a match-up where you need to make good use of your freezes, plus find a little bit of luck for your card-generation effects. Do not waste your removals on small minions, as the deck has a variety of big threats that can overwhelm you pretty quickly. Always keep in mind that you can bluff randomly-generated Secrets to avoid damage or set up a good Vaporize. Shaman: Token Shaman is a pretty straightforward match-up - if they have no board, they cannot win. Although some lists have been shifting towards a more Midrange style, the deck still relies heavily on developing wide on the board and using either Evolve or Thrall, Deathseer for a huge swing turn. Devolve is the only answer the deck has for your Doomsayer, so you should consider baiting one out with an Acolyte of Pain first. Warlock: When facing a Warlock opponent, you will most likely be up against a control list, featuring the new Death Knight Hero, Bloodreaver Gul’dan. A timely Doomsayer on Turn 4 can prevent a potential Twilight Drake or Mountain Giant from hitting the board, or force your opponent to either waste or burn a card. Remember to keep a freeze effect for the turn the opponent plays his Death Knight, as he will flood the board and you will need to answer immediately, or risk either having your Ice Block popped, or losing the game outright. Warrior: The most common list for Warrior right now is Pirate, so throw your Quest card back into your deck during the Mulligan, and hope you never draw it during the game. The game plan here is simple: survive! Keep the board cleared and try to delay the match as much as possible. Ghastly Conjurer can prove to be the key card, as it can provide your last defense (other than Ice Block), preventing your opponent from killing you after he is out of cards. If your opponent is playing a slower deck (e.g. Dead Man’s Hand N’zoth Warrior) you can take your time and complete your quest, as he will not be pressuring you enough for you to worry. You'll be playing Open the Waygate on Turn 1, so it's important to think about what you'll play on the remainder of your early turns. As a cheap card that kick starts your quest, Babbling Book is an obvious keep, as is Arcanologist who'll provide you with a Turn 3 Secret to play. Primordial Glyph is another card that will add towards your quest tally, and there's no harm keeping Doomsayer either - it's especially good at shutting out aggro decks nice and quickly. There's not a huge amount of extra advice we can give now though as the meta is still taking shape. If Freeze Mage remains a competitive deck in the new Frozen Throne meta, then we'll reinstate our hero-by-hero Mulligan chart when we know what the competition looks like. - If you discover and cast a spell that didn't start off in your deck list, you'll tick off part of your Open the Waygate quest. In this deck, the following cards will help you on that journey: Babbling Book, Primordial Glyph, Ghastly Conjurer and Cabalist's Tome. - Arcanologist is guaranteed to draw one of your Secrets for the deck, which nicely plugs the three Mana gap you may have. Plan accordingly if you get this card in your opening hand. - Doomsayer can be used with your freeze effects (Frost Nova / Blizzard) to set up a nice board clear, but keep in mind that the wipe is not guaranteed. If your opponent can Silence or assassinate this character, the effect won't trigger! - Primordial Glyph doesn't just reward you with a random spell, it also reduces the cost of that spell by 2 Mana. - If Archmage Antonidas is on the board, every spell you cast will cause a bonus Fireball card to be added to your hand. You can afford to delay playing Ice Block for quite some time, so if you've three Mana to spare and it's a choice of this spell or Ice Barrier, take the latter. When selecting a spell with Primordial Glyph, have one eye on the late-game. If you get truly dreadful options, consider how a particularly cheap one might be used to draw a Fireball from Archmage Antonidas later on in the game. Do not be afraid to throw back your Quest if you are up against an aggressive deck, as the extra card can prove the difference between losing, or surviving the extra turn you need to stabilize. If you generate a board-clearing card, such as Blizzard, with one of your random-generation cards (e.g. Primordial Glyph), consider casting that instead of the one originally in your deck. That way, you can bait your opponent into committing to the board, giving you another high-value board-clear. Pay close attention to the cards remaining in your deck, as you may be able to start your combo with 2 x Sorcerer’s Apprentice + 2 x Molten Reflection and cast the rest of the required spells for your Quest, before drawing into Archmage Antonidas. Keep in mind that the Sorcerers Apprentices can attack during your extra turn, so you can deal 12 damage (3 damage per minion x 4 minions) right off the bat, provided your opponent does not have any taunt minions in play. This article contains additional reporting from Stelios Magoutis. I love your site as well! Fyi - when you use your deck import id doomed apprentice is imported instead of sorcerer's apprentice per your list above. @franciscalvendra I've just realised that because I'm a big dummy I forgot to copy the old deck list first. Sorry! I don't think it's a huge problem in this instance though because Freeze Mage is not getting a lot of love right now. Still, I would have liked to preserve it. @franciscalvendra That's fair and noted. I used to drop the previous version of the deck list into the comments after an update - would that do the trick? I love your articles and i check this site almost everyday. May i suggest though that when you update an article, can you please annotate what you remove when you add some new cards onto the deck? That would be very helpful. Keep up the great work. Hello folks. It seems as though Freeze Mage may still be a thing despite the Ice Lance farewell. This one's on the list for an update but it might be a few days until you see it. Apologies! I'm trying to cover a lot of ground right now. idk if you made a mistake or not, but this "tempo build" is just the same as the "freeze mage" upper this one. @Draggykins95 Sorry, I missed this completely! I can't remember the last time I saw Anomolus on the ladder, let alone in a deck I was playing so I guess you can? Obviously there's the huge caveat that no one knows what tomorrow's metagame looks like and you dust at your own discretion. Hello, I've been looking forward to craft this deck for a while now. Atm I am sitting on 2900 dust with an Anomolus that I don't use at all. Would it be worth to disenchant the Anomolus to get Alex and Thalnos? Hey John i mentioned barnes powerhouse mage deck like a week ago. I had an unexpected travel but now im back. I was talking about tempo mage but i found him even better in control renomage. There are plenty of great targets: ragnaros, sylvana, thaurisan, antonidas, thalnos, flamewaker, some good targets: sorcerer apprentice, mana wyrm, loot hoarder, acolyte of pain. Two bad targets: azure drake (still magic+1), yogg saron (i dont use him) and one terrible target in form of reno jackson (my version is faking tempo until reno hit the table).